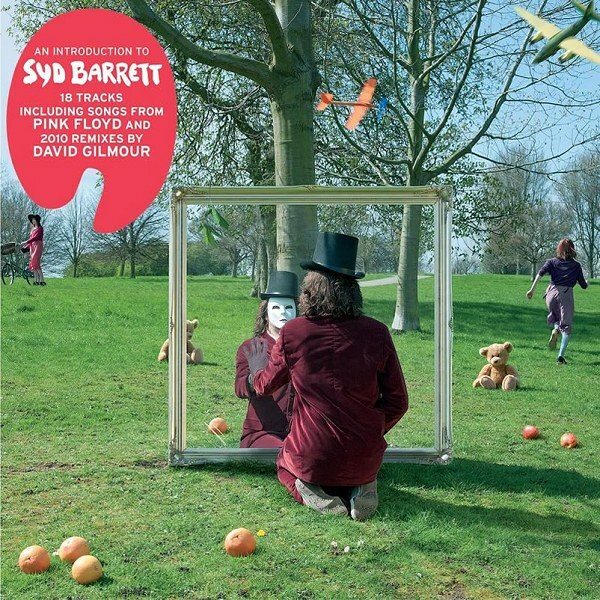 Released on October 11th, 2010, "An Introduction to Syd Barrett" on EMI/Harvest Records is a brand new collection that has brought together for the first time the tracks of Pink Floyd and Syd Barrett on one compilation. This release includes the previously-unreleased 20-minute instrumental 'Rhamadan'. Produced by former Pink Floyd and Syd co-manager Peter Jenner, the list of musicians is lost in the mists of time, though it's rumoured to include congas by Steve Peregrine Took of Tyrannosaurus Rex. It is available as an extra downloadable track with the CD (via an auxiliary website), and also comes with the iTunes version of the album. Fans of early Pink Floyd have been treated to an exciting new release thanks to David Gilmour. 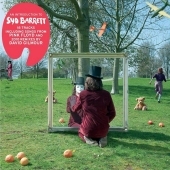 "An Introduction to Syd Barrett" is perhaps aimed at a new generation of fans but will also be of great interest to avid followers of Syd's work and collectors alike. This release provides an attractive selection of Syd's work from 'Arnold Layne' through to 'Bob Dylan Blues' providing some superb remixes courtesy of Andy Jackson and Damon Iddins in collaboration with David Gilmour. The first three singles are a powerful taster, particularly the stereo version of 'Apples and Oranges' which sounds clearer than ever. Roger Waters once commented that this great song suffered from poor production - well, not any more. Following in the style of the original "Best of Pink Floyd" album 'Matilda Mother' and 'Chapter 24' are chosen to represent Syd's "Piper" tracks finishing with 'Bike' - a fitting finale to the group selections complete with maniacal geese and taking you onwards into Syd's 'other room'! 'Matilda Mother' is quite simply amazing. Fans who bought the 40th Anniversary release of "Piper" will have heard this gem from the past complete with original Hilaire Belloc lyrics but this re-mix sounds like it is being played live right in your headphones. The crispness of sound and rich instrumentation is compelling and this version also includes the full run-out with psychedelic jam giving the listener another taster of original, previously unheard Syd Floyd. For me, this piece alone is well worth the price of the disc! The selection of songs chosen to represent Syd's career after leaving Pink Floyd must have been difficult. The concept of the single disc was spot on to provide the taster for new fans with so many more great songs to search out (hunting out Syd's material being a valid cause in one's life). All tracks are presented in high fidelity but again, it is the remixes that grab your attention. There seems to be a greater feeling of space and clarity in these pieces. David Gilmour adds some sensitive bass to 'Here I Go' which strengthens the song, underpinning those wonderful jazzy guitar chords. The end of this piece is allowed to run a little further in the lead guitar outro so that you can actually hear the end of this great song. And finally...a chance to access 'Rhamadan' for the first time. Flipping the coin from Syd's beautiful songs you really do enter his other room. This piece will trigger debate for years...what is it, who's on it, when was it made, do I like it? It's an incredible piece whether you like it or not. It has no beginning or end. It takes you on a trip somewhere like 'Interstellar Overdrive' or 'Lanky'. It is improvisation on a level beyond what we have heard before with jazzy undercurrents and meandering psychedelia. It sounds both modern and timeless - somewhat indeterminable. If it came from 1968 then it is historic as it pinpoints where Syd's Floyd would have gone and demonstrates how he was able to drive and articulate a piece of music like this despite reports of his decline. It is a far greater piece than I imagined having heard snippets and read reports of an unreleasable track. Thank goodness it has emerged at last as it is at very least an historic artefact and at best a telling indication of his craftmanship during this very strange and exciting period. So, a great album of songs, superb artwork and packaging in a colourful glossy digi-pack, with full lyrics (including one or two surprises). It still leaves you wondering and dreaming. More gems from the archive please...not all at once as that would be too easy, but in our lifetimes would be good. Orders for the album can now be made, with some retailers offering it at a very reasonable 44% off the recommended retail price, at Play.com through this direct link. You can also order it from HMV.com, Amazon UK, Amazon France, and Amazon Germany. Amazon.com and Amazon.ca were previously just offering it as an expensive import, but are now offering it as a North American edition at a good price (albeit with a slightly later release date). We thought we'd best let you know in case you'd already ordered the import edition! David Gilmour, who originally worked with Syd Barrett on the solo albums by co-producing "The Madcap Laughs" and as producer of "Barrett" has taken the role of executive producer for the album and has, along with Damon Iddins and Andy Jackson at Astoria Studios, remixed five tracks including 'Octopus', 'She Took A Long Cold Look' (now renamed '...Cool Look'), 'Dominoes' and 'Here I Go' on which David Gilmour has added and played bass guitar. Pink Floyd's 'Matilda Mother' also receives a fresh 2010 mix. Brand new artwork has been provided by Storm Thorgerson and his estimable studio.